A Girl & A Gun Women’s Shooting League (AG & AG) announced today an agreement with SIG SAUER that names the iconic firearms manufacturer as the organization’s Title Sponsor for 2019. A Girl & A Gun Women’s Shooting League (AG & AG) proudly announces the winners of the 2018 4th Quarter League Match. It was an exciting match for the participants this quarter. This is especially true for three members from the Vista, CA chapter, facilitated by LeAnne Farmer. This chapter secured the top three spots in the Centerfire Irons division, only separated by 1.71 seconds: Vyrna Romek (25.19 secs. ), Kathy Smith (25.30 secs. ), Gina Roberts (26.90 secs.). Congratulations to all who participated. 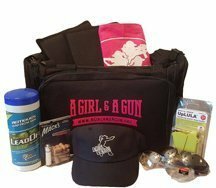 A membership to A Girl & A Gun gives you access to exclusive benefits that can only be provided by an organization with the scale and reach of AG & AG. 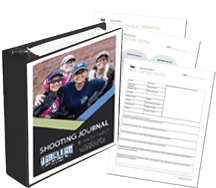 In addition to numerous other perks, AG & AG members now have access to an exclusive pricing program on firearms ranging from personal defense, to competition, to recreation in every style and budget. A Girl & A Gun Women’s Shooting League (AG & AG) is proud to announce that the Space Coast, FL, Chapter supported The Sharing Center of Central Brevard’s Holiday Food Drive. This annual food drive is a joint effort for (and friendly competition between) the cities of Rockledge and Cocoa.